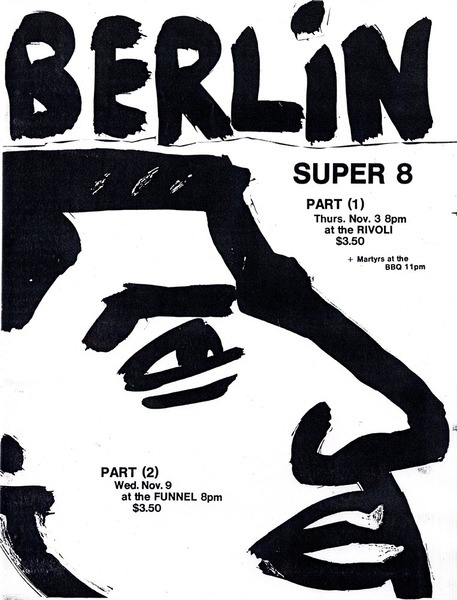 Three OPIRG adds published in student newspapers. 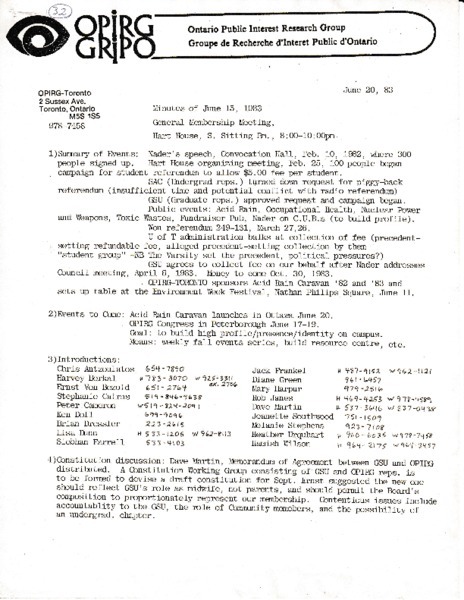 Minutes from meeting on June 15, 1983. 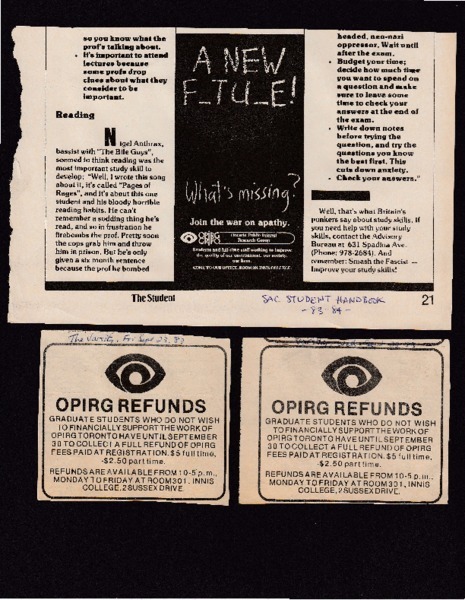 OPIRG advertisement describing how to Opt Out of their fee levy. 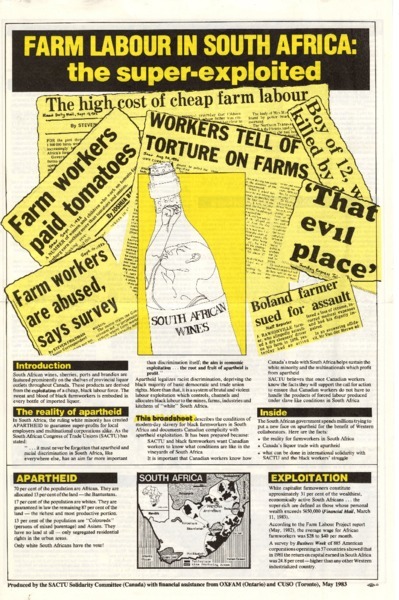 Newsletter describing how organized labour in Canada can help fight against apartheid and farm labour exploitation in South Africa. A protester with ACT! 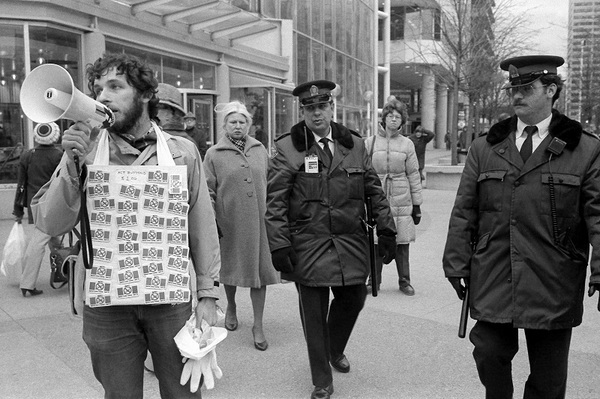 (Against Cruise Testing) at Yonge and Dundas, Toronto, 1983. 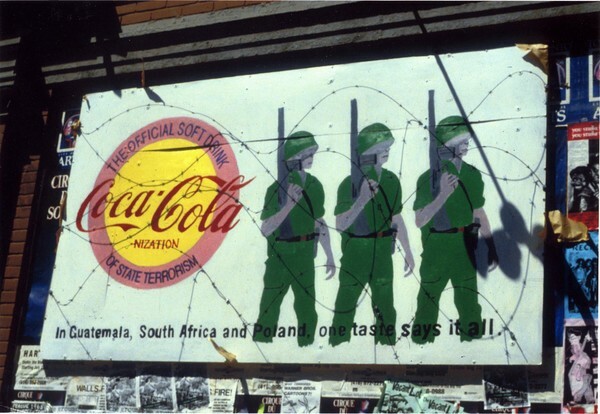 These parody advertising billboards were bolted to an abandoned building on Augusta Avenue, north of Dundas Street. 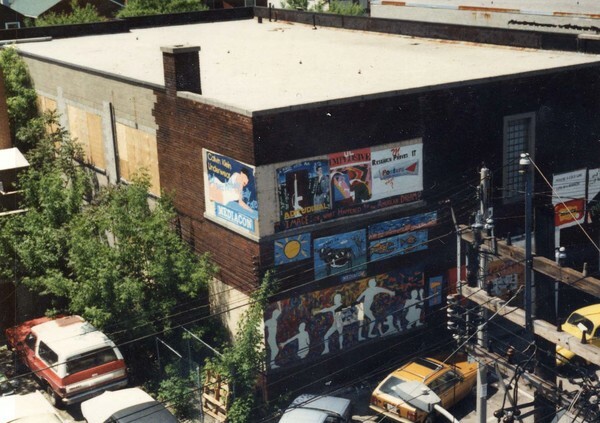 Political billboard bolted to an abandoned building on Queen Street West. Police approach a protester with ACT! 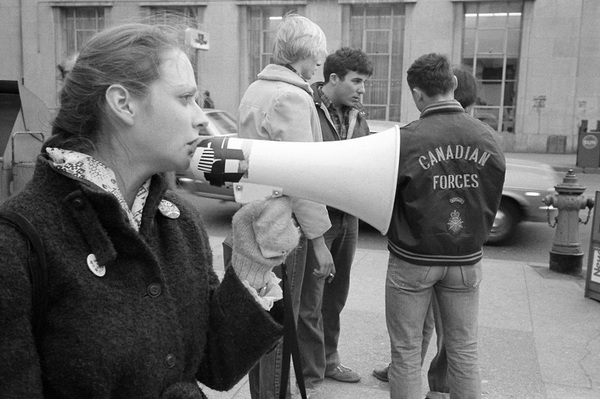 (Against Cruise Testing) in front of the Eaton Centre. A protester with ACT! (Against Cruise Testing) in front of the Eaton Centre. 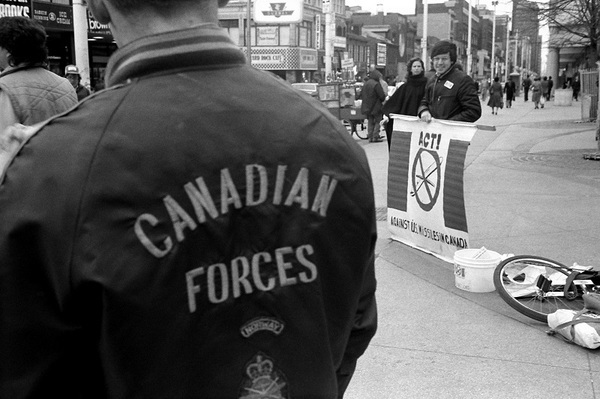 A person wearing a Canadian Armed Forces jacket looks on.